Home Entertainment Which is the Greatest AR Rahman album ever? Which is the Greatest AR Rahman album ever? When AR Rahman won the Oscar for Slumdog Millionaire, he won fans across the globe. He was given titles like the ‘Hans Zimmer of the East’, and the ‘Mozart of Madras’. After Ravi Shankar, Rahman is the only truly global Indian musician, eclipsing our actors and actresses in popularity across the globe. Even today, there are YouTube channels dedicated to his awesomeness. There are ‘A capella’ versions of his songs, and covers by foreigners struggling with the accent. But for us Indians following his career for more than two decades now, it was rather sad that Rahman came to be identified with Slumdog Millionaire. For you’ll all agree that it was one of his weaker albums. Rahman has been churning out wonderful songs for 20 years now. His music elevates the story to greater heights. In films with terrible stories, Rahman’s songs are the only saving grace. With ‘Rahmaniacs’ across the globe, there is always heated debate on that one elusive question – which is Rahman’s best work ever? The Music team at Wirally.com took up the task of scanning through Rahman’s discography, to decide which album would rank as his best. It wasn’t an easy choice to make. It was an emotionally draining experience, as we had to keep our biases out of the equation. With Rahman, it is difficult to compile a list. Most of his albums are superhits, so obviously we couldn’t merely take commercial success as a yardstick. c. Shelf Life – albums that retained their freshness over the years, making themselves classics. 5. Roja: This album introduced us to Rahman. Indian film music hasn’t been the same since Mani Ratnam released this film in 1993. Most of us back then didn’t know how to deal with this fresh new sound. It was unlike anything anybody had ever heard. It was deep, and yet you could hum it. It was melodious, and classical at the same time. Roja changed the way we recorded and shot songs in our films. 4. Earth: The second installment in Deepa Mehta’s ‘Elements’ trilogy, 1947 Earth is a hard-hitting, gut-wrenching film that talks about the pains of partition. 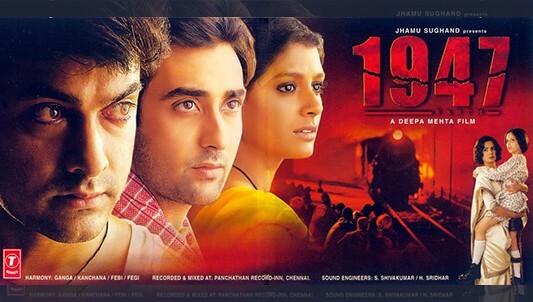 Starring Nandita Das, Rahul Khanna, and Aamir Khan (before he began acting like the sun shines out of his posterior), 1947 Earth also had stellar music to accompany the film. The haunting Dheemi Dheemi (sung by Hariharan), the earthy Sukhvinder’s Ruth Aa Gayi Re, or Ishwar Allah, the songs of 1947 Earth leave you with goose bumps. Sadly, the album is nearly forgotten today. 3. Thiruda Thiruda: (Dubbed in Hindi as Chor Chor, and Telugu as Donga Donga). This is another hidden gem of Rahman that has been forgotten. 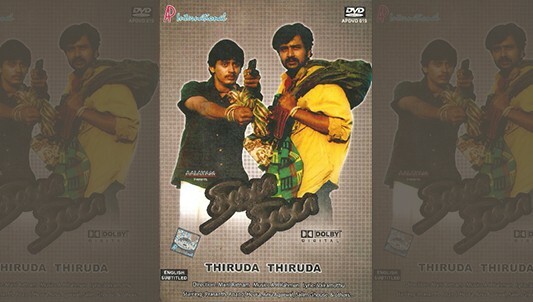 Thiruda Thiruda, written by powerhouses Mani Ratnam and Ram Gopal Verma, starred Tamil actors Prashanth and Anand. While the movie in itself wasn’t a classic, the music of the film was a beast. With singers, instruments, and sounds that were previously unheard of, Thiruda Thiruda was also the first time an a capella (a song that has no instruments, all the sounds made by human voices) was used in an Indian album. Thiruda Thiruda inspired Amit Trivedi to become a music director. 2. 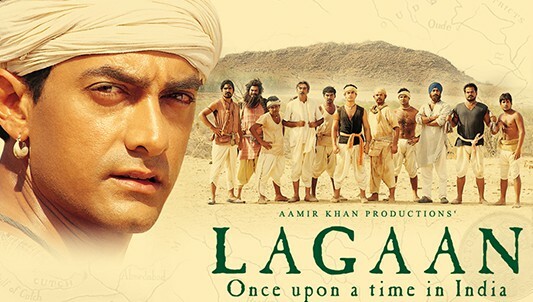 Lagaan: Another of Rahman’s big budget blockbusters, Lagaan features songs that were both catchy, as well as rustic and folksy. With all the leading singers of the time crooning for the film, Lagaan was a film that had everything working for it. Be it the dhol beats of Ghanan Ghanan, or the heart-thumpingly inspiring Mitwa, the album of Lagaan makes you stand up and take notice of the importance of the background music in a film. 1. 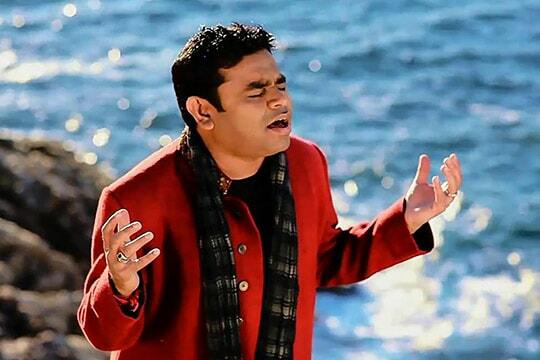 Dil Se: Before Dil Se, most Rahman’s albums were originally written in Tamil. Which meant that when dubbed into Hindi, they sounded almost comical due to absurd lyrics. For example, Telephone Dhun Mein Chalne Wali from Indian. The combination of Mani Ratnam, Rahman and lyricist Gulzar brought together an album of supernova proportions. Unlike most Rahman albums, Dil Se had just five songs. But what songs they were! From the cult hit Chhaiya Chhaiya, to the goosebump-inducing Tu Hi Re, to the tribal war-like Dil Se Re, each and every song in Dil Se is a masterpiece in music production. Dil Se changed the way songs were written. With Gulzar’s mix of philosophical and abstract lyrics, Rahman did away with the traditional Mukhda-Antara-Antara format of songs that we were used to. How does one test if the album of Dil Se is still a classic? What do you think? Is there a soundtrack by Rahman that we missed? Let us know in the comments below. Let the wars begin! Tollywood Sequels That Went Totally Wrong!! !